Edison State Community College students stand before family, friends, and faculty and staff members as they are recognized for their achievement in receiving scholarships. Edison Foundation’s annual scholarship banquet. Edison State Community College in partnership with the Edison Foundation recognized over 70 students during a banquet on Thursday, October 5. The scholarship banquet is held annually to provide recipients with the opportunity to meet the patrons that made their scholarships available. Following networking and dinner, Taylor Adami, Computer Information Technology instructor at Sidney High School and Upper Valley Career Center Satellite Program, spoke encouraging words to the scholarship recipients about her path to success. Adami went on to express her gratitude for the donors who made her scholarships possible. 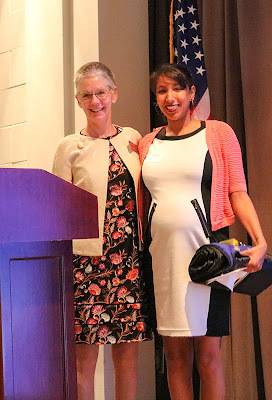 After graduating from Edison State, Adami went on to receive a bachelor’s degree from Wright State University and she most recently completed a master’s degree in marketing communication from Franklin University. “I’m going to continue my education to get a master’s in education to support my long-term goal of becoming a superintendent,” added Adami. 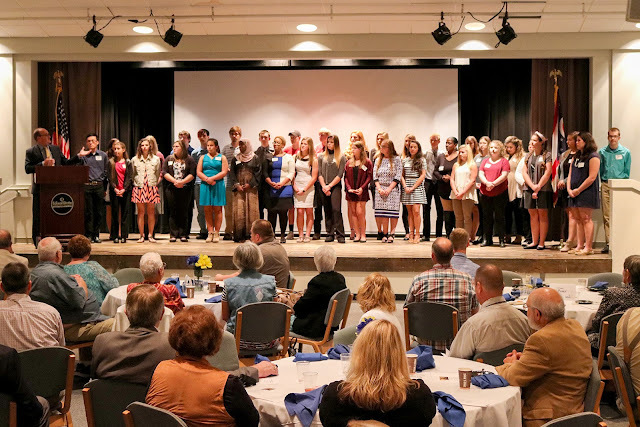 Made possible by the Edison Foundation, Edison State Community College, and local organization sponsorships, recipients honored were awarded a total of nearly $130,000 in academic and need-based scholarships. Scholarships awarded will aid in students’ pursuit of higher education at Edison State Community College. Founded in 1993, the Edison Foundation has raised millions of dollars, primarily giving through scholarships to Edison State students. For more information about the Edison Foundation and scholarship opportunities, visit www.edisonohio.edu/Foundation.